If you want to play along too, head over to SNS. 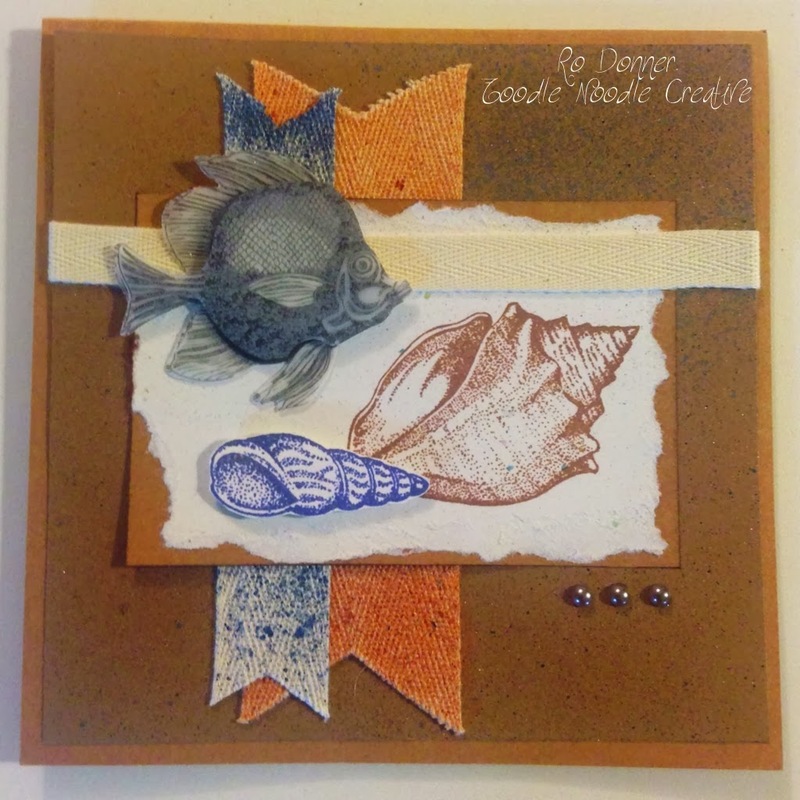 Not only do they have card sketch challenges, but they also have some amazing scrapbook sketch challenges! I am happy to finally be able to announce that I have been selected for another Design Team!! 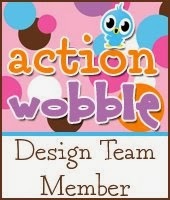 Thank you, Action Wobbles!!! Check out the announcement here! And help me welcome the new DT and get to know the ones who are continuing! My term starts January 2014, so very soon I will be sharing some new creations with you featuring the fun Action Wobbles. Stay tuned! And I hope you join us for all the fun challenges! Til next time, keepin' it crafty!! 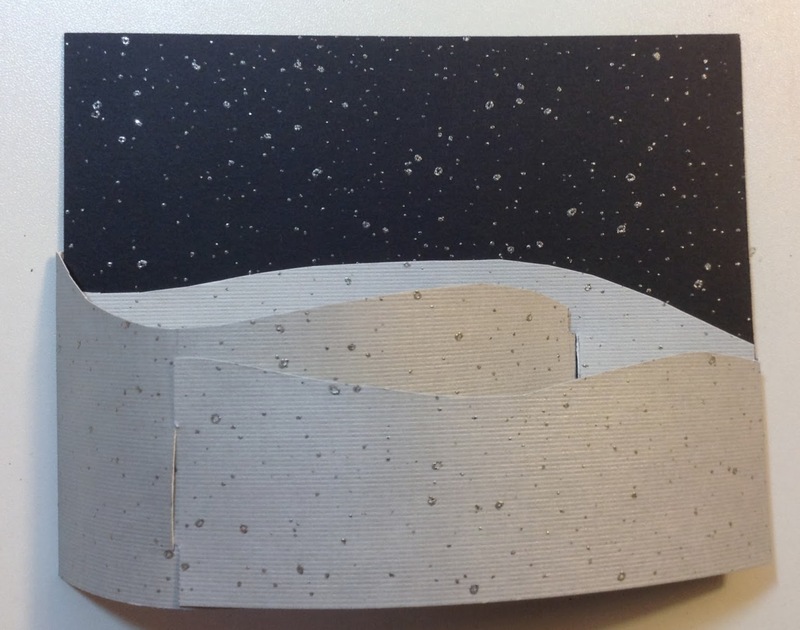 This very dimensional card was a lot easier to make than it looks. 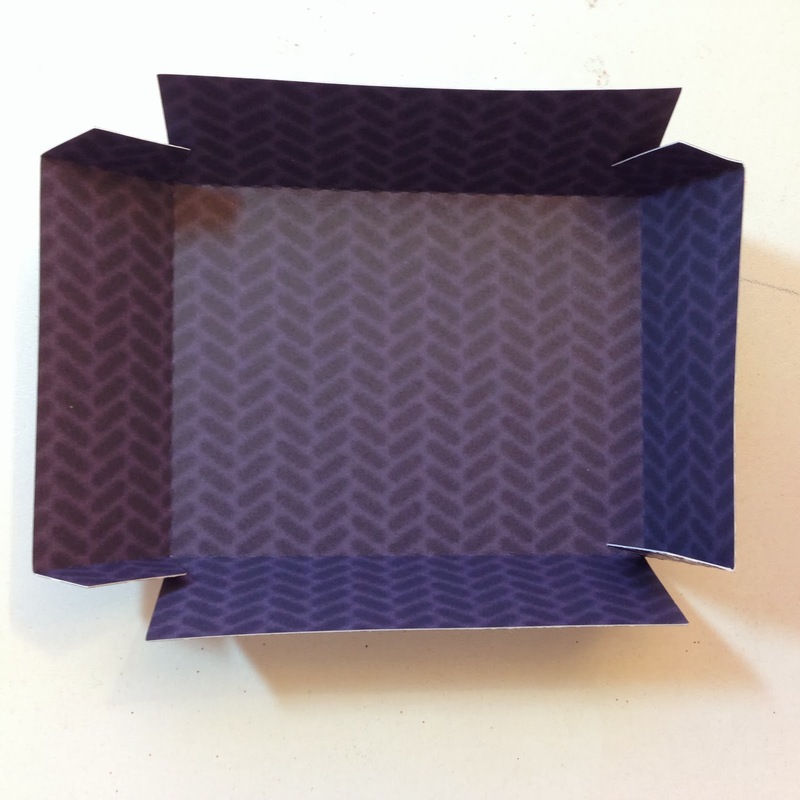 You start out with three basic pieces of cardstock. 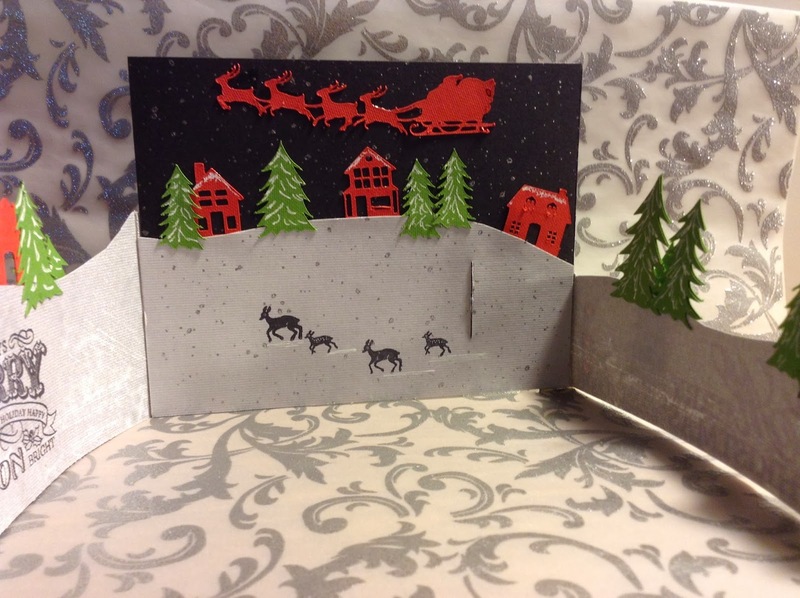 I used the black and silver glitter cardstocks from The Robin's Nest. They made THE perfect snowy ground and twinkly night sky. 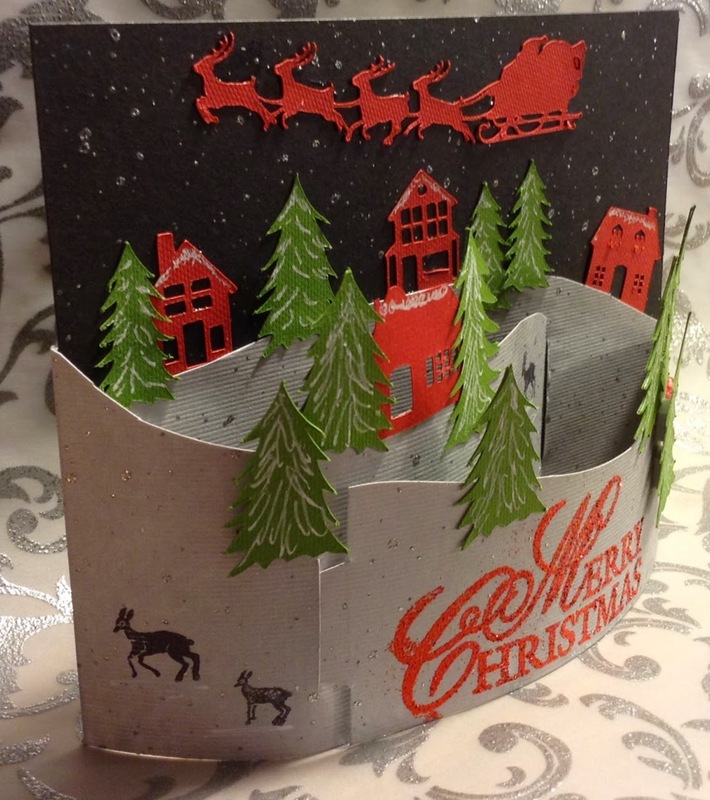 I then used my Silhouette Cameo to cut tiny houses and trees, and a Santa and his reindeer. They were then added to to the base and tabs with a little white gel pen to accent snow. 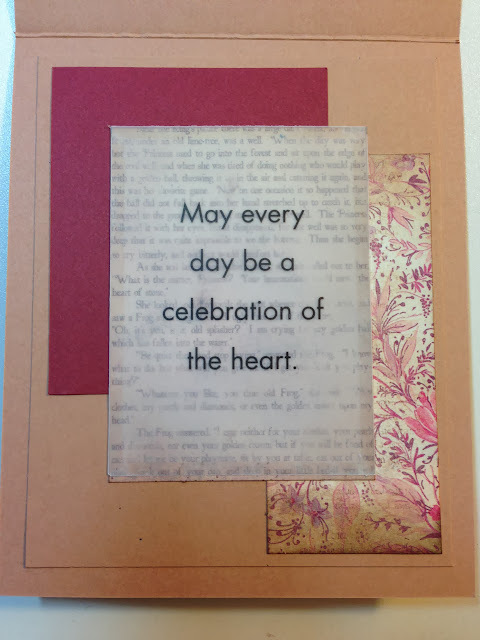 A few deer stamped and a embossed sentiment finish off this amazing little card. Here are a couple more views of it opened up. I've been wanting to try this card for a while and, once I got started, it was much easier than it looks. 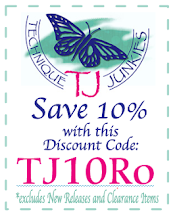 If you'd like to see some really beautiful papers, this month over at TRN, the Russian Winter Collection is on sale for 20% off!!! Thanks for letting me share with you today. Enjoy your holidays and be safe! Merry Christmas from Me & FCCB! 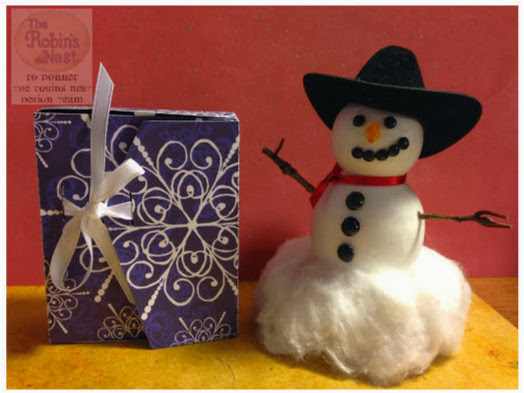 Since the holidays are upon us and I'm busy wrapping and preparing for Christmas, I am just sharing a quick little post with you today. 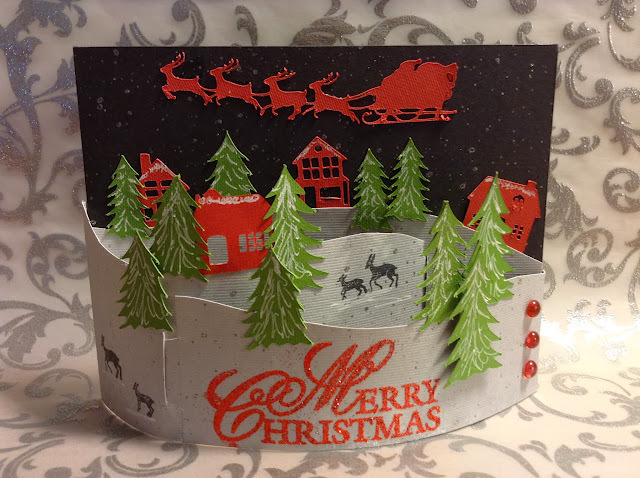 I did a quick little last-minute kind of card using some paper scraps and my Stretch Your Imagination cart. Since my Cricut and Mac still aren't speaking, I grudgingly cut directly from my cartridge. Nothing picture-worthy there...lol. I cut the tree at 2 3/4" and filled it with green and yellow stickles. 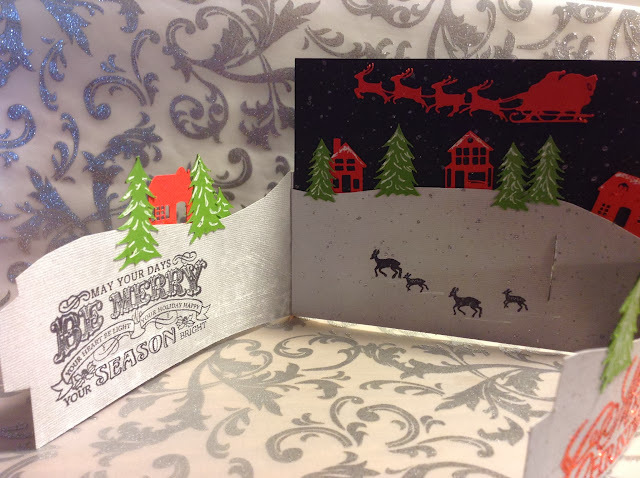 The Noel is from a section of an Anna Griffin embossing folder, highlighted with black ink. 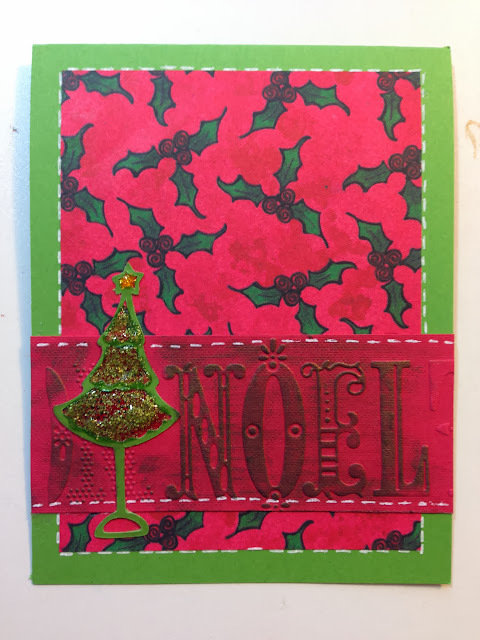 I then "hand stitched" around the card using a white gel pen. Easy Peasy. I hope you and yours enjoy a wonderful Holiday. Merry Christmas. SCRAPBOOK PAPER...IT'S NOT JUST FOR SCRAPBOOKS ANYMORE! 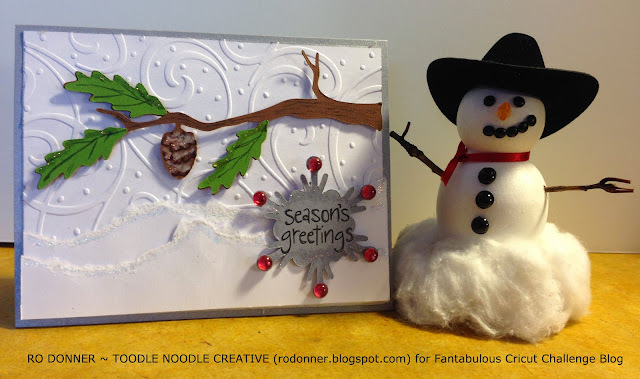 Happy snowy day to all my blogging, crafty friends! 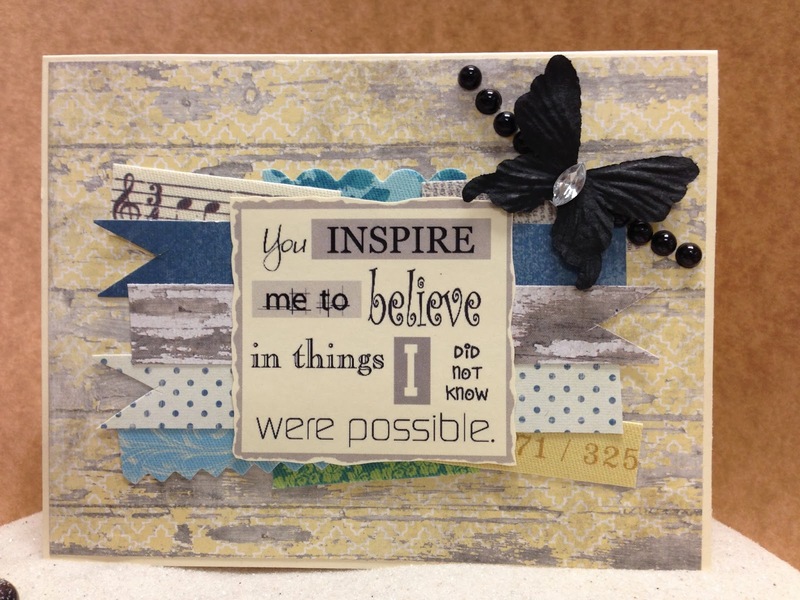 Did you know that those beautiful papers used for scrapbooking can be used for so many other things? 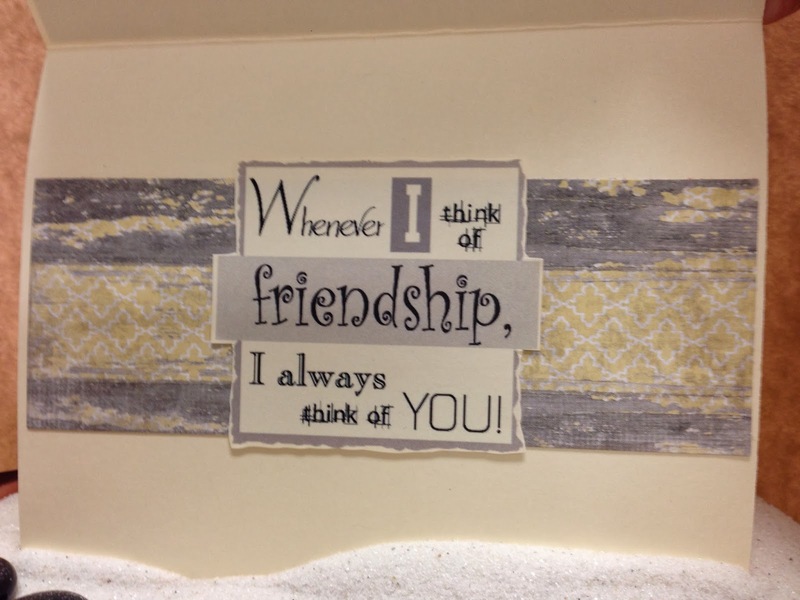 I use them all the time to add to custom frames and letters, to make books and journals, and to make hundreds of cards each year. 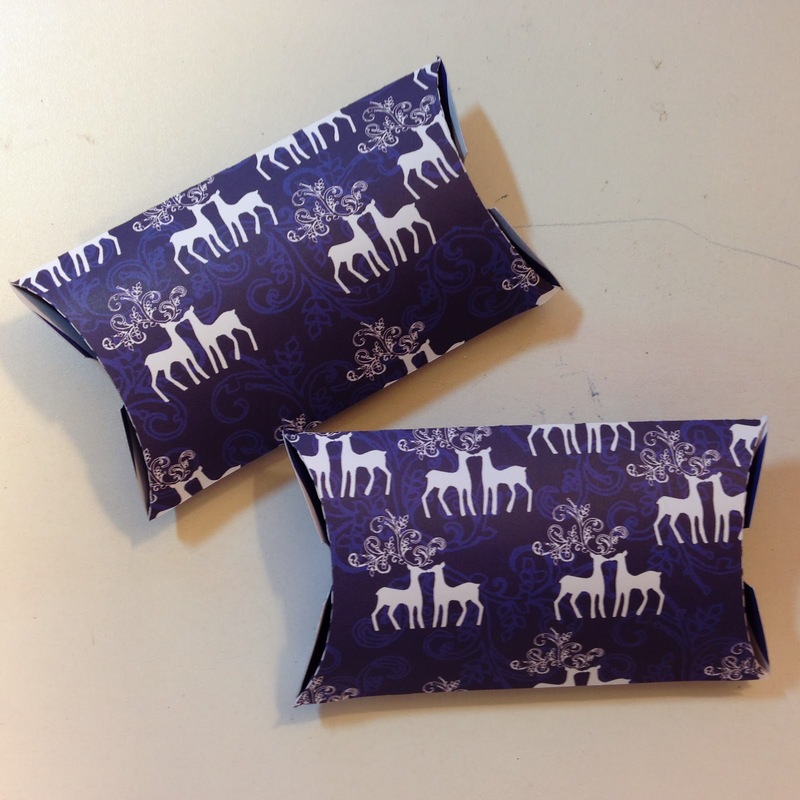 But did you ever think about how great they are to wrap gifts in? 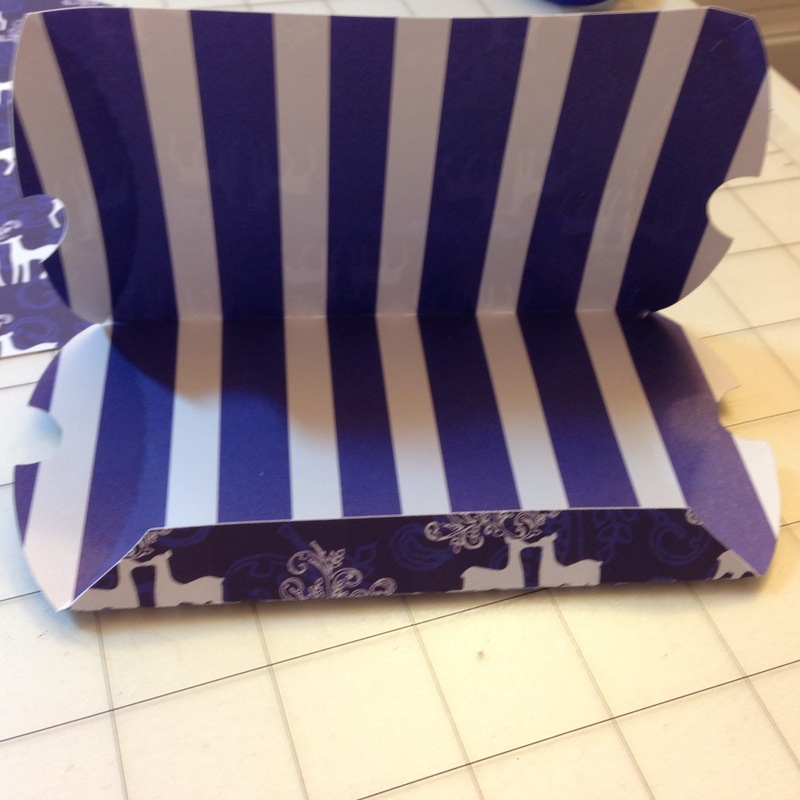 I have made Halloween treat containers, wrapped small boxes, and even made gift boxes. Check out the latest!! How cute are these? Wouldn't you love to see one of these hidden in the Christmas tree or tucked gently into your stocking? And you can put loads of different little items in them. Be creative! 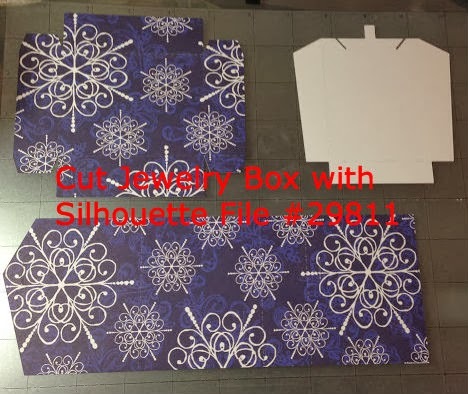 Here is how I started...I used my Silhouette Cameo to cut out the jewelry and pillow boxes. But you can also find patterns for these on the internet. 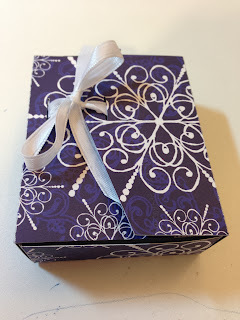 I then assembled the boxes and wrapped them in ribbon! 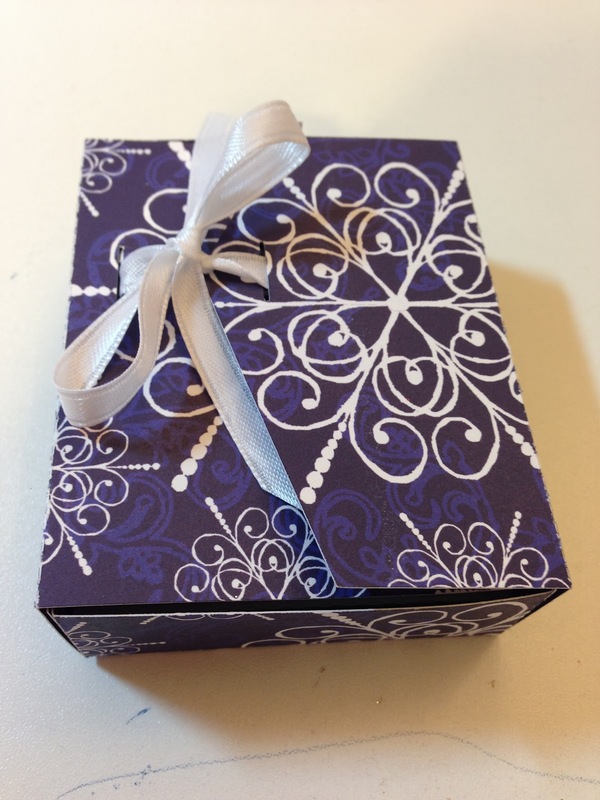 Here is the jewelry box assembly. 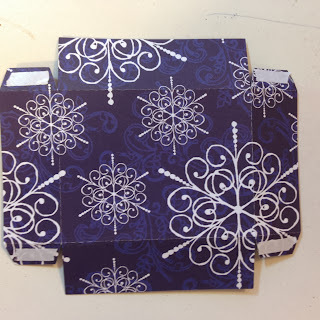 Add adhesive to the tabs. 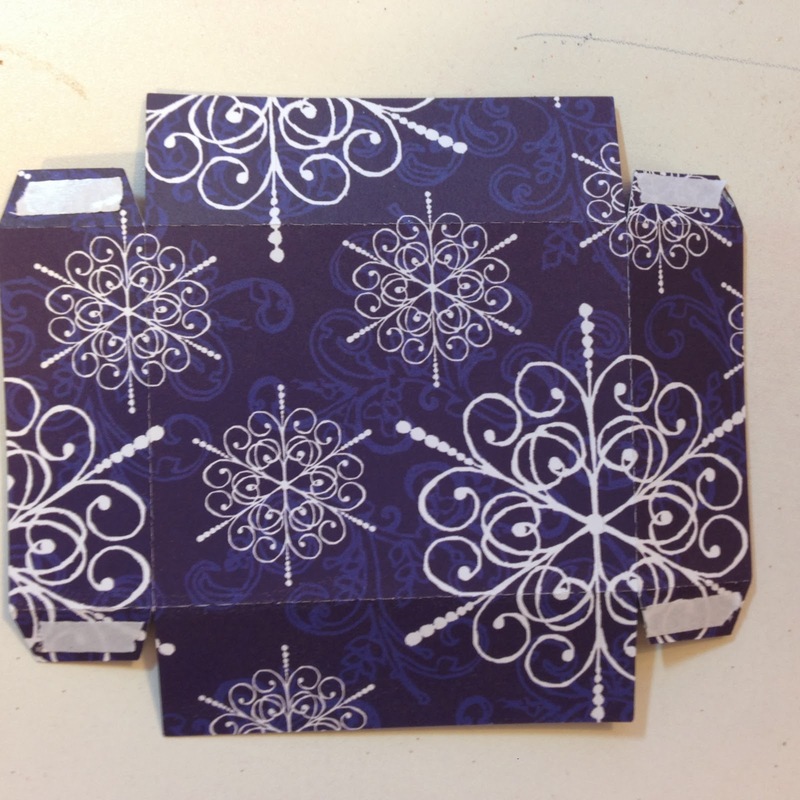 Fold on score lines and add jewelry. 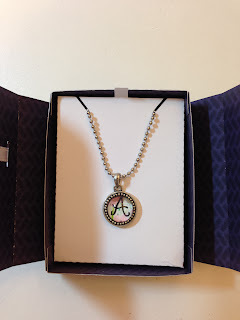 Here's a necklace I made for my daughter's stocking! 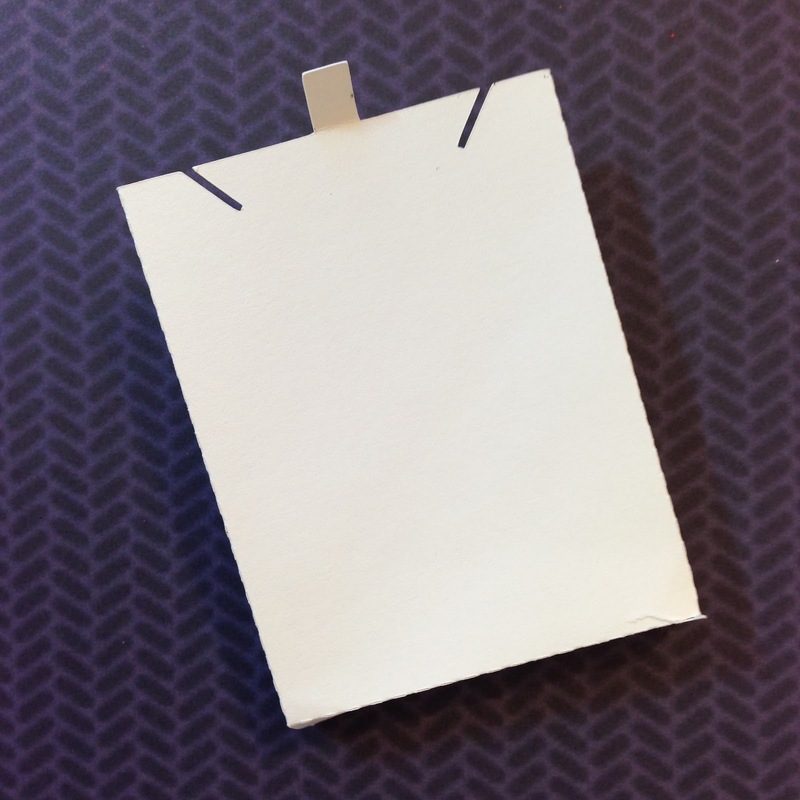 Fold on score lines and add tape to bottom tab. Add your gift and fold in ends. 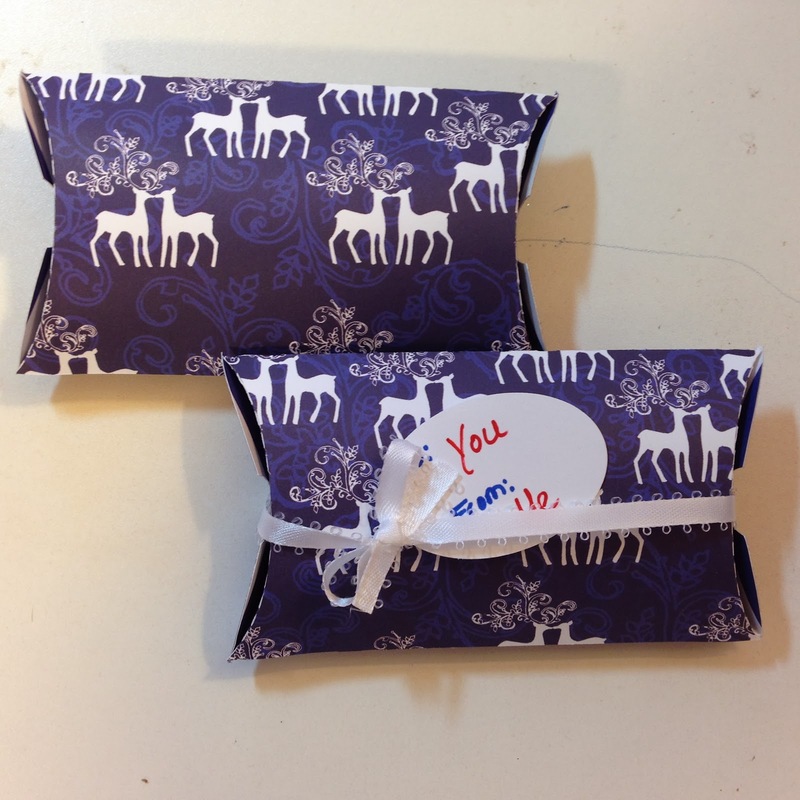 Wrap ribbon around and add a tag! These little gems go together quickly, which makes them easy to mass produce. My kids, grandkids, hubby and mom will all have some of these peeking out of their stockings this year. 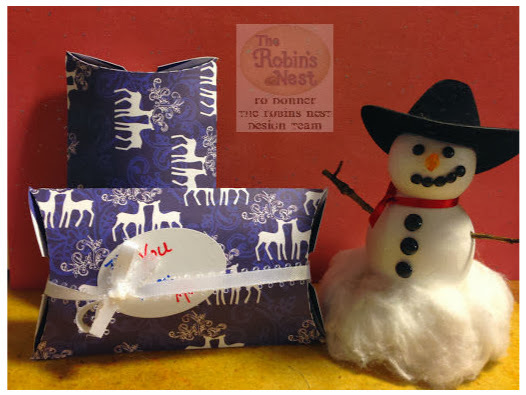 Now head on over to The Robin's Nest online store and see all the lovely papers and embellishments...I bet you will be inspired to try some gift wrapping too! Welcome back to another Fantabulous Challenge!! Visit Fantabulous Cricut and join the challenge. 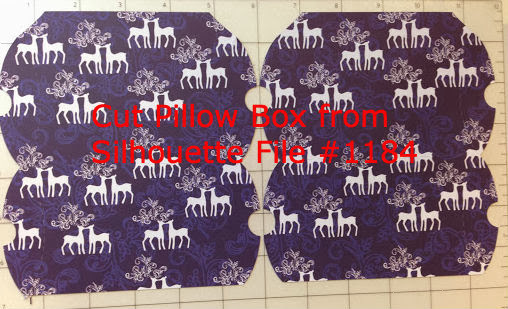 Be sure to use at least 1 Cricut cut on your project! 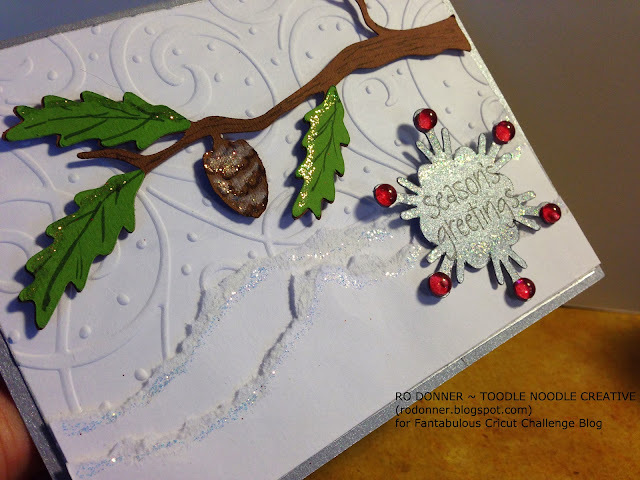 My card this week features a branch and a snowflake from the Winter Woodland cartridge. I cut my card base from some silver cardstock and layered onto it a piece of white cardstock that has been embossed with the Snow Flurry embossing folder from Anna Griffin/Cuttlebug. I tore two pieces of white cardstock and adhered them with dimensional tape, then I added the branch. To all those pieces, I added some Diamond Stickles Glitter Glue to give it some sparkle. I stamped the greeting on the snowflake and added some more Stickles and some red Dew Drops from The Robin's Nest. 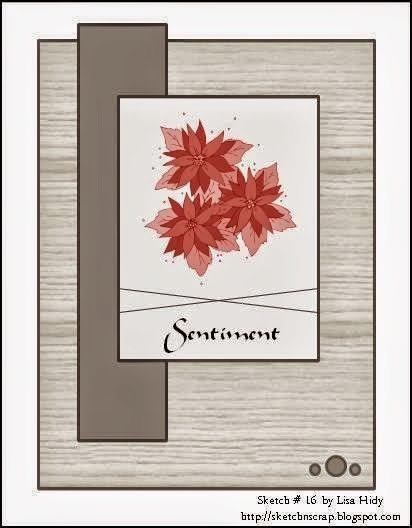 This card is not fancy, but it's not plain either. 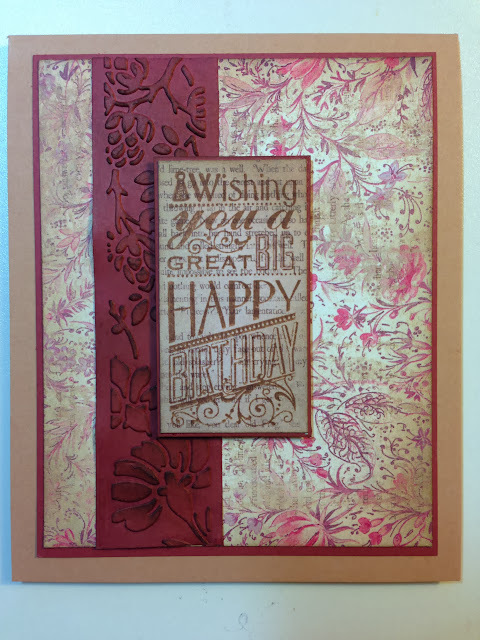 The embossed background give it just enough character and the layers add some dimension. Now, it's your turn! See what you can come up with! Need more inspiration, head on over to Fantabulous Cricut and see what the other designers have to share. And please!!! Play along!!!! I am so excited to announce that I have made the Sketch~N~Scrap Design Team beginning January 1, 2014! As my regular followers know, I am a huge fan of sketches. They always inspire me to think outside the box and be creative. And not only does SNS offer great sketches for cards, they also do scrapbook layout sketches and contests and prizes....Oh My!!! So to celebrate, I am playing along with their December card sketch. Love this sketch!!!! 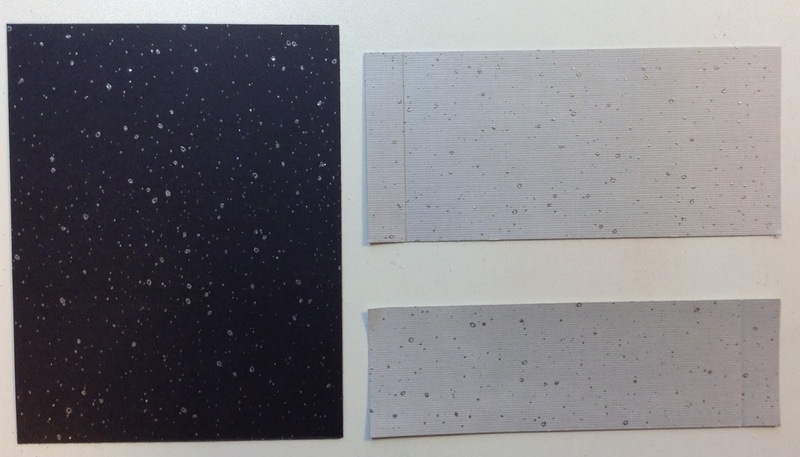 I don't think I would have thought to use so many different designs of paper on one card, but it works beautifully. What do you think? I even added a little somethin' to the inside! Papers are from Pink Paisley, DCWV and My Mind's Eye. Sentiments are from Hot Off the Press. Other supplies are from my "stash". 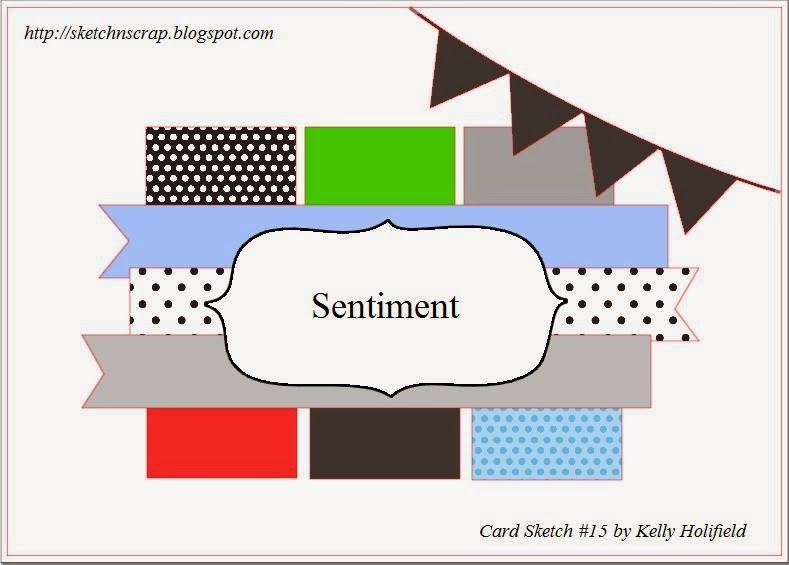 I hope you will join me in following Sketch~N~Scrap and play along. I look forward to sharing with you in the coming months!